To Summarize, not as many miles as normal, but more quality. Ride through loads of countries doing as many mountain passes as possible, and keep out of Germany while the World Cup is on. The Passo dello Stelvio is the highest paved mountain pass in Italy at 2757m, and the second highest in the Alps after the Col de l’Iseran 2770m m). 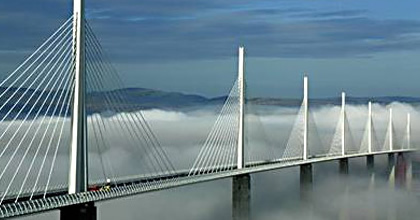 Well the plan this year is to ride from Home to hull catch a ferry to Zeebrugge, Belgium then ride south through France to the Millau Viaduct(only 587 miles that day), stop take a few photographs. Then head east over some high passes into Italy stop in Bardonecchia (Normally base camp when I have done the Stella Alpina Rally). Back into France, via the Col de l’Iseran through the Mont Blanc Tunnel to a stay in Chamonix. Then its off to Switzerland. Ride across Switzerland taking in as many passes as possible before entering Italy again. This will include a ride over the Stelvio Pass, 9 000 feet with 39 hairpins I do believe. After a nights stop in the mountains we head for Austria over more mountains staying in St Anton. From here its back into Switzerland Through France and Back To Belgium to catch the ferry home from Zeebrugge. In total 11nights and about 2600 miles. Paul (junior) tries out his dads bike . This years leaving party was to be at the normal watering hole the "Grey Hen". Well after the normal delays while Paul sorted himself out. We were ready to leave at 1.10pm and Paul was happy his new Ipod appeared to be working. He picked his dummy back out of the gutter and we gathered for the formal Photo. The ferry was arrived at without a problem, the luxury club class room was just what we wanted, complimentary mini bar, TV, fruit, a full size bathroom, an abundance of towels dressing gowns and even breakfast included. Do we like to rough it ? You bet!!! Time to look pretty !!! When you consider that the timings are actual moving times and do not include sitting at tolls filling up with fuel this was a long day. It was to 9.15pm before we booked in found John a pint. Disembarking the ferry was by 9am. It was to be just a long day on the motorway, absolutely a nightmare around Paris. As the temperature continued to rise to 32c we were to welcome the 5 miles of rain, not even bothering to zip the air vents in the jacket. Travelling in France can be an expensive pastime with petrol on £1 a litre and tolls costing 27euros. 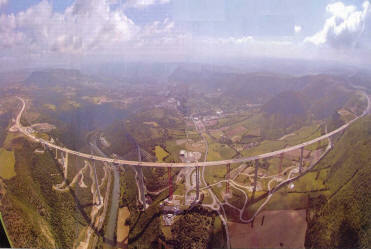 What was to make the day was after 580 miles the first sighting of the Millau Viaduct and boy oh boy was it pretty. A lovely way to end the day and a bit of British flag flying. This is a must see. A friend of mine Dave Badcock had earlier in the year completed this journey from home and back again in 30hours covering 1500miles, even that would have been worth it to see the bridge. The town of Millau is definitely worth a visit. Lovely and quaint with narrow streets. We buzzed around another GSA adventure motorcycle for a time complete with French plates (Billy and Paul both have the same bike, new and not quite common yet) before the bike decided to join us for coffee in a village a little later. To our surprise the couple were English. 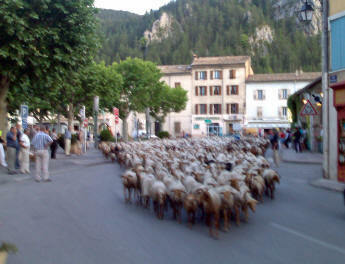 Not quite sure but about 3000 goats and sheep were led through the centre of the village about 15 minutes before kick off. Not much rushing about early this morning, most opting for a 8am breakfast after the late stop last night, and the fact it was Fathers Day . Then Sunday morning brought out the tourist in us an hours walk around the town. The The plan today was to ride some 255 miles to Castellane via the Canyon de Verdon , the computer predicted some 5hours 45mins which many thought all that time for so little miles, and we only managed to beat it by 3 minutes. the roads in places where a little on tight side of perfect (just a little to tight in places). Another late finish, how we manage them I will never know! Arriving in the centre ville about 7pm as the town were preparing themselves for World Cup night. The French go to town with the fireworks on occasions like these. .What a glorious run good fast sweeping bends then a few high passes. The day was to take us from Castellane north to Dinge to head north over the Col du Labouret, down then up again for lunch at the col du Vers, and finally the highest of the day at 2360 (7700 feet) metres was the col du Izard. All was going well until the road over the boarder into Italy and only 5 miles from Bardonecchia was closed for resurfacing. The detour was 57 miles, Denny had 2 litres of fuel so after some debate we decided to give it a try, we made it bikes covered in fresh tar. A scary drop is the reward for going to close to the edge. Bardonecchia is a place we try and visit every year or so for the Stella Alpina Rally and the town is always jumping. Well what a surprise, the town was closed. The station bar was closed, the Spitting Bull failed to open and the one with the free buffet was closed down by the police for some irregularities. Dinner at Frelandra1 pizzeria was also a surprise when it was discovered that this was closed for decoration. We never went without and in fairness it was a change. Next time we will only visit when the rally is on. Paul (that's son Paul) had given me a lucky stone to carry so here it is up the big mountain. This year the winter Olympics where held here, and boy oh boy have they spent some money on the town. Even the Sommeiller hotel has been painted and a lift fitted. They used to say built in 1892 and retains much of its original charm. In proper speak not a penny had been spent on it. After the traditional photo shoot we were on the road in brilliant sunshine to sample more alpine passes this time taking in the Col de l’Iseran 2770m (9088ft) before dropping down into Val D'Isere and finally the Petit St.Bernard pass and arriving in Chamonix via the Mont Blanc tunnel. At a cost of £15 per motorbike. The only English bar in town was jumping as England were playing Sweden in the final game of the qualifying group games of the World Cup.(2-2). While the weather had not provided us with a chance to visit the Mont Blanc range by cable car the evening before because of cloud. The weather the following day was to tease us. Brilliant sunshine and no time to visit the top. Chamonix has to one of prettiest towns in the alps that comes complete with some life. It reminds me of the Keswick of France. After breakfast we headed straight for the Swiss boarder and the beautiful scenery that Switzerland can provide. Comments on the price of fuel were raised until you remember Switzerland still has its own currency. Once again we were to prove that as nice as the roads are progress is slow. The passes provide a challenge to the riding skills the only fear the worry of going over the edge. Many of the road provide drops on the side of thousands of feet with no barrier for protection. The height of the day was provided by the Furka pass at 9000 foot. The hotel Imra at Merano proved to be the star of the trip with Refreshing towels and a beer on arrival followed by a cream tea.Well recommend this hotel to anyone passing this way. Complete with several pools and a seven course meal what more could you want. The big pass day was here at last 45 hairpins were to face us after breakfast. The GPS which had been used through the trip to provide the route information and timings was telling us that today to allow 1Hour 22Mins to cover 22miles. We are ready to find out. The day proved another hot dry day 30c. I think we are getting slower at an average of 32mph. by the time you take in the hairpins and the scenery its fast enough. The top of the stelvio pass at 9000foot was a strange experience, like a village built on a mountain top. The postcard sellers were out in force. Bed for the night was to be in Merano Italy, I had thought that Merano must be a small town as I could only find one hotel listed on the computer. However we were not to be disappointed with it. Well we managed to do what we shouldn't. Enjoy the hotel so much that you do not want to leave. So today the miles were cut just a little short. A late start for 11am was planned and the mileage down to just over a 100. We blamed the heat, everyone we talked to was saying it was so much hotter than normal for the time of year. However the 100 miles proved to be of fantastic quality and another mountain pass was to be the first obstacle, providing once again a fantastic viewing platform. The Timmelsjoch pass at 2509meters is the border between Italy and Austria. We arrived in St Anton about 3pm and despite talks of pressing on and shortening the following day, the town of St Anton looked to beautiful to leave behind so quickly. Beside the torment of Paul looking for a barbers for the past 3 days was wearing us into the ground. Little Paul back at home is much easier to look after. The town was so quite as I had expected once the skiers have gone home the town empties to some degree, despite 3 English "shering" style coaches in town the partying was no where to be found. The locals we found all in one bar watching the World Cup football, however it was now after 10 pm and time for John and Paul to be in bed. The bed and breakfast was wonderful, and good value as in summer it appears the visitors are few and the prices are low. Single rooms for 30 euros including breakfast. was it time for Denny to throw the towel in. With the riding ahead of us today we left at 8am. We decided to leave the motorways alone with the hope of a more adventurous ride. It started well but by the time we reached Liechtenstein the novelty was wearing thin. The ride through Zurich was torturous in the heat, reaching 33c. The time was nearly 2pm and we were 30 miles short of the French boarder and about 100 miles still to go when we took to the motorway for 60 miles to avoid even more traffic lights. Even the risk of being stopped for no Swiss motorway tax did not deter. The town of Gerdarmer was reached by 5pm and by about 20 past everyone was asleep. we had started the day in Austria travelled through Liechtenstein Switzerland before arriving in France. Today our last before the ferry was to be a short fast run designed by luck rather than design. England had won the group for the the last 16 placing which was to played tonight. The run was probably one of the fastest of the trip, Sunday morning and empty roads. The day was going well and and by chance the village of Void I chose to pull into for coffee had a classic motorcycle show in the village square. The next 60 miles were a pure delight, empty and fast. Passing through Bar-Le-Duc on our way looking for lunch. Arriving at the hotel about 2pm our luck would change for a while as the sign on the door read "overt a la 18H 30M" ringing the doorbell had the owner shouting from the upstairs window that it was her only afternoon off and we could park around the back and come back later. A sort of sad look and a plea for mercy ( to get out of the bike suits ) brought her to the door. I explained that also it was our only afternoon off and we were hoping to watch the football. England to take on Ecuador in the knockout stages of the World Cup. Somehow she pulled through and offered to open the bar 5 minutes before the game to allow us to watch on a large screen TV. All we required now to end a fantastic day was the win. Mel whom had left our group 5 day's earlier in Chambery was again back in the tour to join us for the run back to the ferry. The hotel Pasteur in Chalons was a nice surprise and just as I had hoped a traditional French hotel quaint and complete with sloping staircases. Today looked like rain Jackets were zipped up and the motorway was joined for convenience and speed. The run was broken with a trip to Vimey to visit the first world war trenches and Tunnels. we were given a 45 minute guided tour, very informative and very enjoyable. The ferry was reached 4.15pm and luck passed our way, we were boarded and cabined by 5pm. No problems in this department I can always seen to remember where I live. all that's left now is a dirty bike and a credit card statement. Oh and of cause memories. Quotes of the tour:- John on arriving over the Stelvio Pass and stopping in a cafe 30 or so miles across the Italian boarder. "Coffee with milk please" No reply a shrug of shoulders from the waitress, "Grand Cafe au Lait" another shrug of shoulders. At this point I said John you are in Italy. He replied "What difference does that make", to witch I replied because she speaks Italian. John sharply looked at the waitress and said "Coca Cola" universal language is Coca Cola I guess. Get Paul to learn a foreign language. Get Paul to do something. Get Paul to stay awake. Get Paul to stop picking his nose. Get Paul to stop talking about Indian food every night. Get Paul to talk less on the phone. 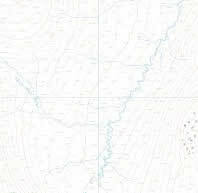 Get Paul to read a map. Get Paul to stop stealing from hotels. John to have a bowel transplant. Adventures are better than easy day holidays, I still like a challenge and this was a holiday. The bike (BMW R1200GSA) behaved without missing a beat, Not a drop of oil was added. The Autocoms fitted to the bikes are items of equipment I would find it difficult to manage without. It so easier to know what's going on. This year I fitted the new auto volume equipment (super Pro AVI) and must report that it just gets better. Bike to bike was provided by linking Kenwood radios all powered direct from the Autocom. The GPS was also routed through the unit as well as MP3 and Bluetooth phone. A complete communications package. For the first time this year I eased the rear pain by fitting a Airhawk seat, not the prettiest piece of equipment but who cares the 600 miles of the first day would have been a lot more difficult. Garmin 2610 v8 software, oh how would I manage without the navigation. Okay it has its moments but overall it gets you to the door without too much trouble.